Nirav Modi and his uncle Mehul Choksi are being investigated for a massive banking fraud involving Punjab National Bank. Nirav Modi and his uncle Mehul Choksi have been on the run since the first week of January. 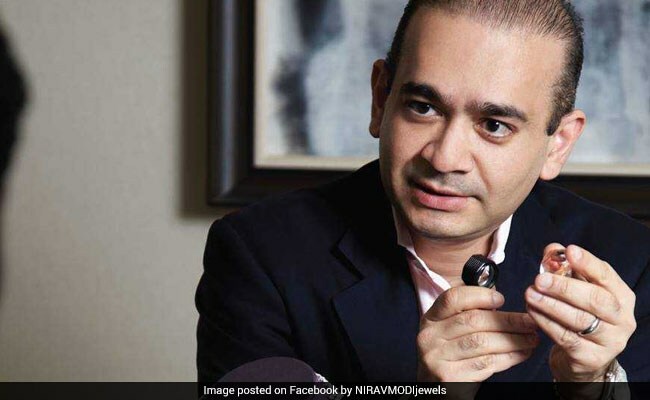 A special court on Tuesday directed diamantaire Nirav Modi, a key accused in the multi-billion PNB fraud case, to file his reply on October 29 to an Enforcement Directorate (ED) plea seeking to declare him a "fugitive" under a new law. Special judge MS Azmi, presiding over the court set up under the Prevention of Money Laundering Act (PMLA), had on July 25 issued summons to Nirav Modi, seeking his reply to the application filed by the probe agency. His lawyers sought time to file the reply to the ED's plea. The judge fixed October 29 for next hearing of the matter and asked him to file his reply on that date. The court had also issued a notice of appearance under the fugitive law against Nirav Modi's uncle and co-accused in the case, Mehul Choksi, and had asked him to appear before it on September 26. The agency had moved the court seeking to declare the diamond traders as "fugitive economic offenders" and nod to confiscate their assets worth Rs 3,500 crore. The probe agency, empowered to enforce the new law enacted by the NDA government to curb big economic crimes and check the escape of perpetrators from India, had filed two separate applications against Nirav Modi and Mehul Choksi. The agency seeks to confiscate their assets, both movable and immovable, including those located in the UK and the UAE. The move has been made on the basis of the two PMLA charge sheets filed by the agency against the designer diamond jewellers on charges of alleged money laundering. Nirav Modi and his uncle are being investigated by the ED and the Central Bureau of Investigation (CBI) after it was detected that they allegedly cheated PNB (Punjab National Bank) of more than Rs 13,400 crore with the purported involvement of a few of its employees.